Years don’t matter in Digital World, as things change here in seconds. Every year, the world of internet marketing has faced challenges and have witnessed numerous rise and falls and everything in between. It is important for businesses dealing with the B2B domain, to have an eye on the upcoming Digital trends to have best of both worlds. 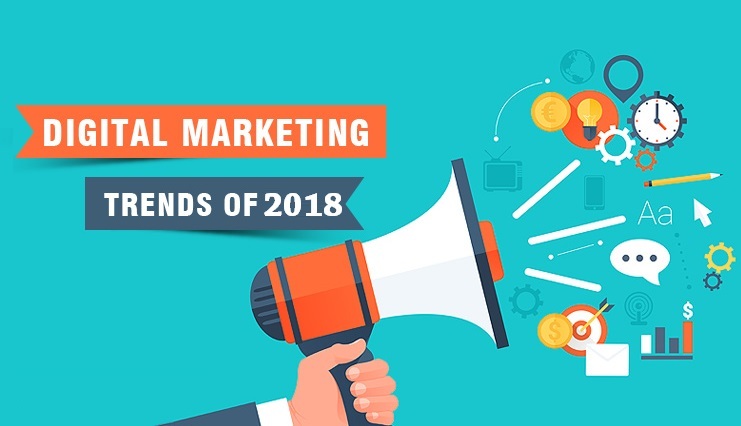 A lot many predictions were shared by the Digital Marketing Experts related to the B2B Marketing trends for the year 2018. Among these trends, these 3 trends are going to make the top of the charts. Infographics are a boon to the Digital world. Reason being, with zillions of data getting online every day on the internet, it becomes really important to find ways to make reach your brand’s message and motive to the intended audience. Optimizing and simultaneously delivering a presentable content is not a piece of cake. Delivery of a uniquely crafted brand message along with cool graphics can turn the tables of business. Graphics are ruling the marketing industry. These days, the Sales and Marketing team are changing their approach towards their prospective clients by using Case Studies and Infographics as a lethal weapon to drive sales. Businesses find this an approachable, intense and a clean method to connect with the target audience. With time, even READING is digitized. And talking about the Newsletters marketing, our Inbox is flooded with the same old boring, automated and pathetic sales newsletters. Considering 2018’s demand, newsletters will be customized based on target audiences. Keeping the buyer personas in mind, companies can shape their product/services into a customer-winning brand. Newsletters are helping companies to build the brand, adding an emotional and real element to the company’s face. Writing crisp content, to-the-point subject lines, and of-course inducing a cool graphical touch will keep your brand to remain ahead of the curve. The want for the flat and minimalistic approach is going to be the key player in B2B marketing. ‘Content is the King’. Period. Content marketing is both ageless and timeless. Sales are not just about selling the product or service to the consumers but in fact, you sell the emotion behind it. Sales are all about opening up regarding your product and drive the end customer to edges and ultimately fulfilling what a customer wants. Every brand has a story behind it and when put through better words, works wonders. B2B marketing is no more about making an emotionless business deal with your end consumer. Adding stories, emotions, anecdotes, visuals and personalities elevates and enhances your products and services. A great sales copy is all about choosing words wisely, meaningful punch lines and beautiful graphics. Businesses prefer playing bold with the content as far as it reaches the right audience and is winning hearts. Apart from these three, there are lot many things that are going to be a part of this complex and huge B2B domain of businesses. Down the lane, every business has their own strategies and plans to voice out their brand image through various marketing campaigns. In the end, it is a journey about “Create, Optimize and Repeat”.